Hunger Intervention Program (HIP) is serving FREE summer lunches to kids in the Lake City area this summer and we need your help! 2. Attend a Volunteer Training to learn more including what’s new this summer. If you can’t make these dates, please let us know so we can arrange alternate trainings as needed. Meal Site Volunteers will help with set up and clean up of meal sites, serve food, lead activities, and create an all around fun experience for families. Appropriate for all ages. We request that volunteers commit to one day a week. Deliver summer meal foods to our meal sites in HIP’s van. Help with loading and unloading of the van and deliver any additional items needed during meal time. We request that volunteers commit to one day a week. 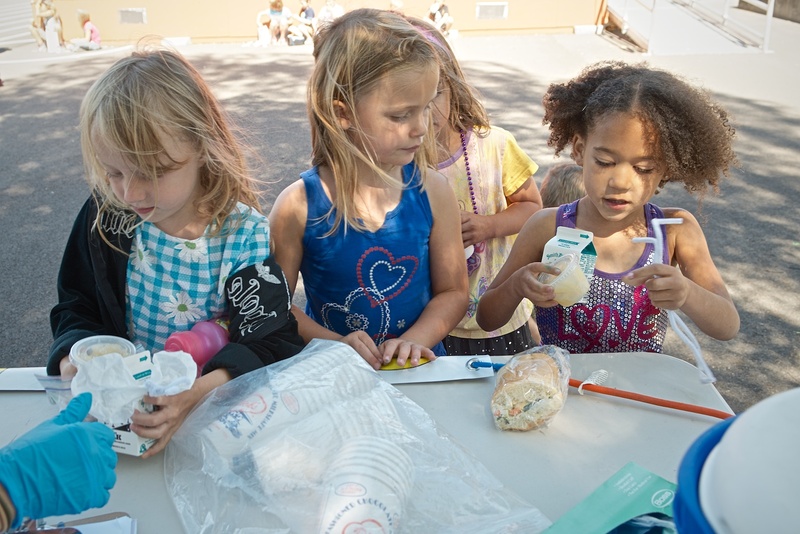 Help spread the word about summer meals! This volunteer might take flyers around to local businesses or put up door hangers around the neighborhood The days and times for this volunteer are flexible. Can’t commit to an entire summer? Have a flexible schedule? We often need volunteers to fill in at our meal sites at the last minute. Let us know your best days.